In recent days we've seen an uptick in rumors about a new Man of Steel movie, some of which have been worth noting, like that James Gunn was considered for directing the sequel, and many that were sketchy at best. A rumor from Revenge of the Fans falls into the latter category, as it said the only thing preventing Warner Bros. from moving forward on Man of Steel 2 was star Henry Cavill, who was demanding things such as script approval, a producer credit, and more. Well, Collider has dug into this story and found it to be untrue. They reached out to Cavill's team who said there is "no truth to this", calling the rumor "patently inaccurate." I'm going to go with Collider on this one, based on credibility alone. It also doesn't sound like something Cavill would do at this point when his relationship with Warner Bros. has been so strong. Forget all of that stuff about him leaving the Superman role behind; nobody has confirmed that yet, not him and certainly not the studio. Justice League was the last time we saw Cavill's Superman, in what amounted to a glorified cameo. 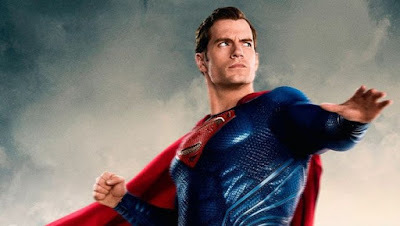 There's yet to be a true sequel to Man of Steel and I think there's still a certain amount of demand for one to happen. But clearly the DCEU is at a crossroads right now after Wonder Woman and Aquaman successes, Birds of Prey and Shazam's arrival, plus a new wave of movies outside of established continuity. It's such a crowded field right now that announcing a new Superman movie would be silly. If it's going to happen Warner Bros. will wait until Superman can get the spotlight to himself.